This is my favorite of the St. Patrick's Day cards that I made. I really, really love the way this card came out. 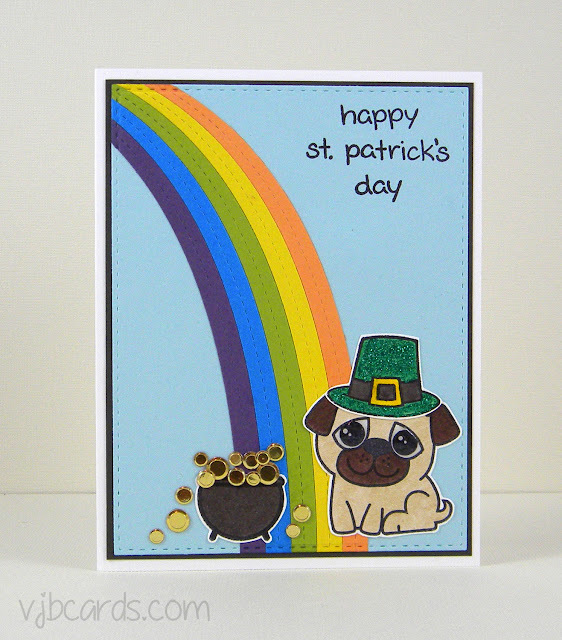 I just love that rainbow (a My Favorite Things die) and that pug with his pot of gold (which was actually a witch's cauldron stamp). And the leprechaun hat - that was a pilgrim's hat stamp. It's so nice to stretch your stamps and make those crafty $$ go just a little further. Thanks so much for visiting and happy St. Patrick's day!